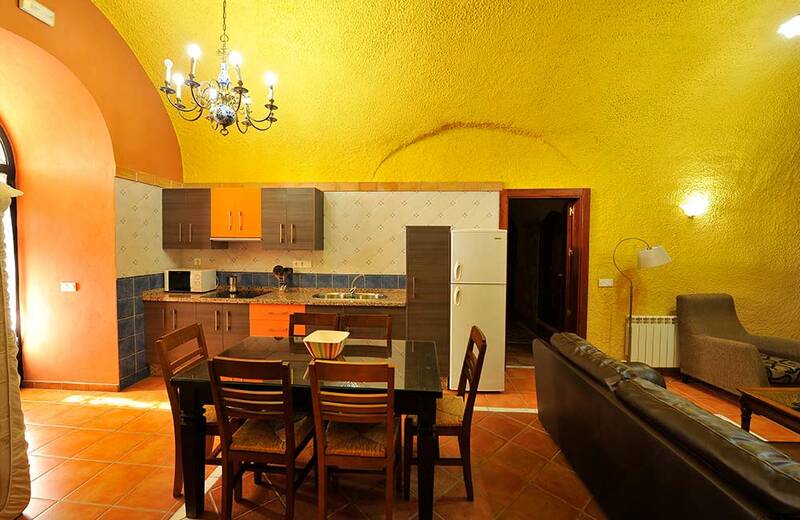 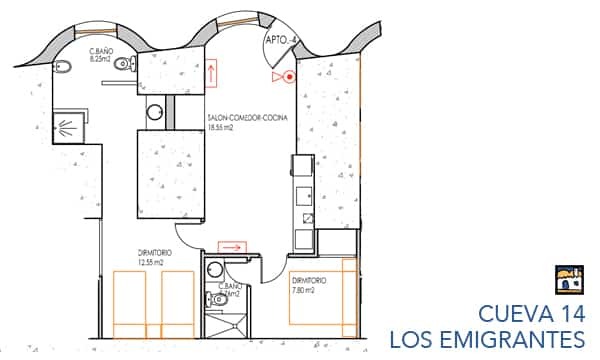 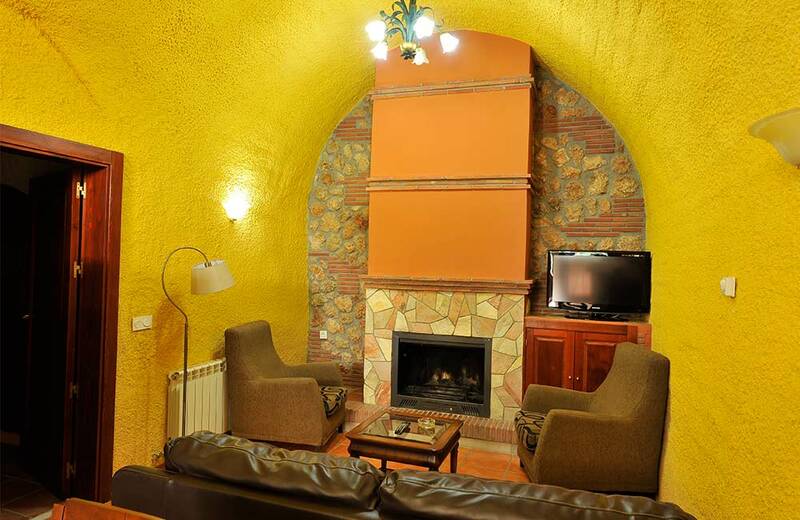 Emigrants, for four people, is a cave with an intimate and friendly atmosphere: Living room with fireplace and full kitchen, two double bedrooms; one with double bed and the other with two single beds. 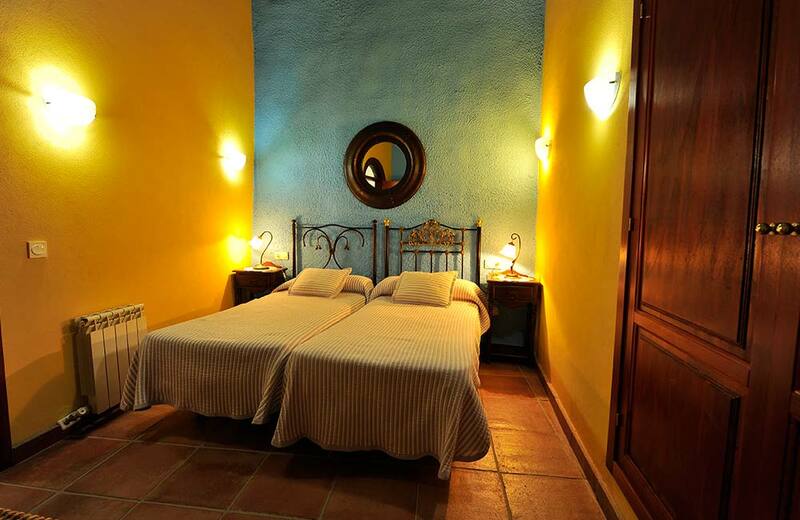 Both bedrooms have high ceilings with beautiful decorative details. 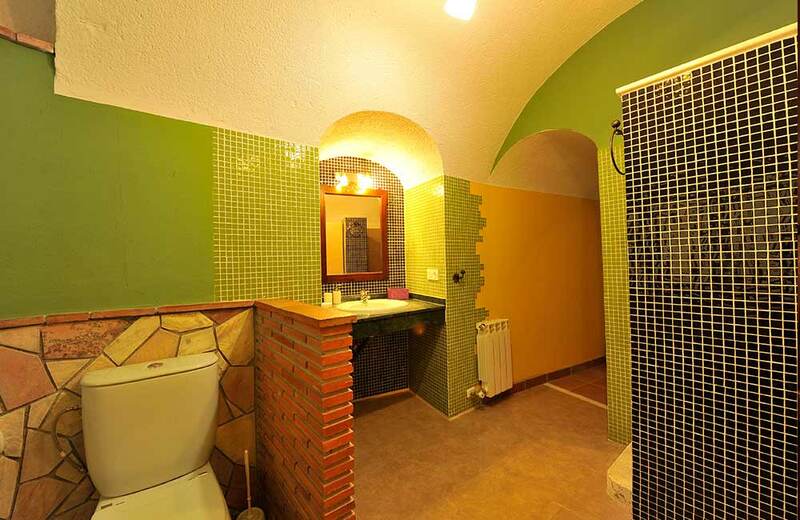 It also has two complete bathrooms.  With this name, we wanted to pay tribute to the people from our village that had to emigrate to the north of Spain in 1950’s, many of which are now very good customers and friends. 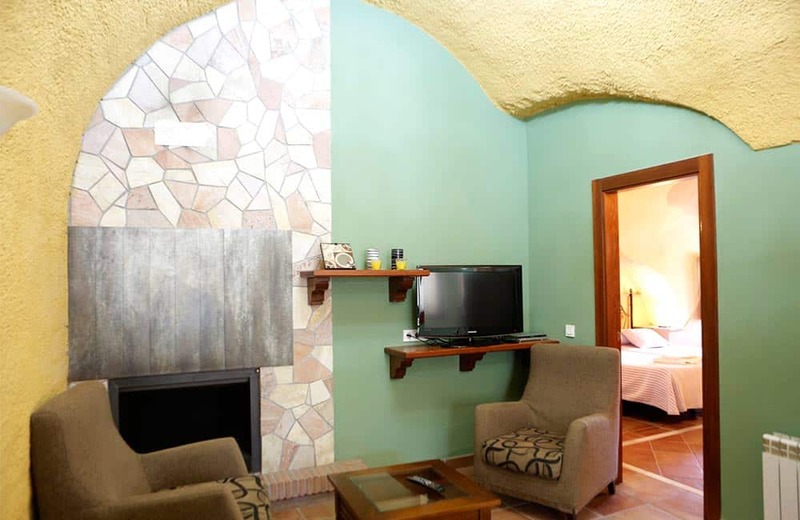 Jimena Cave is characterized by the peculiarity of its careful design. 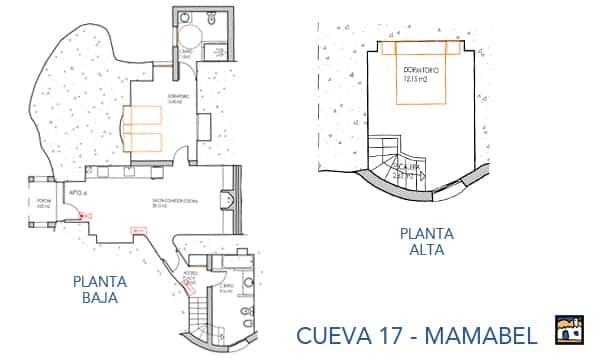 The living room and kitchen are at different heights separated by a few steps, so that the living room is a cozy and charming space with two sofas dug in the clay. 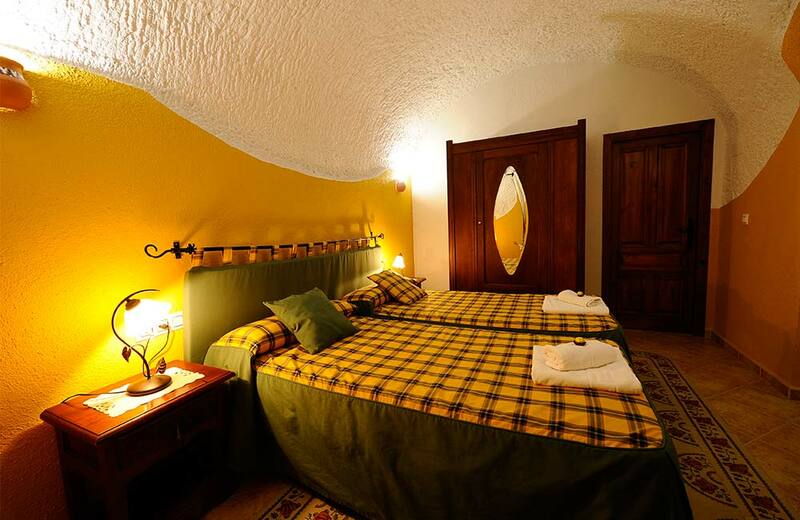 The bedrooms are very original and comfortable. 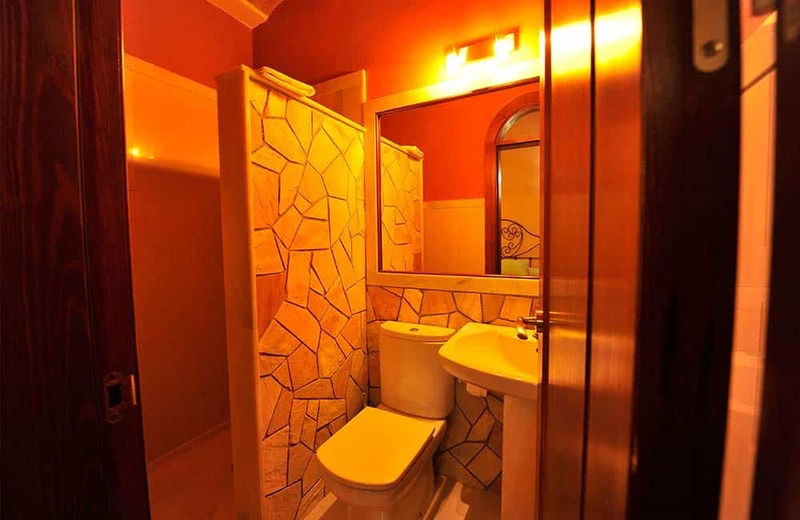 It also has two bathrooms, one in each bedroom. 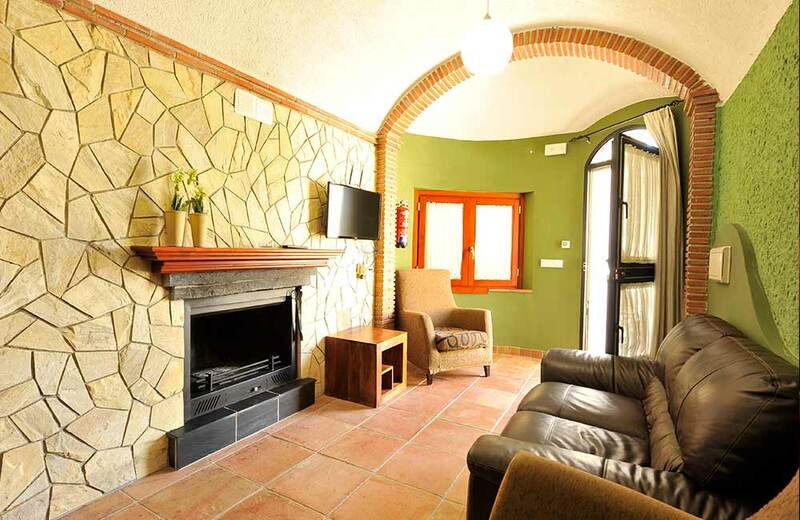 Outside, under its wooden porch, we can relax, cook in the barbecue or enjoy the beautiful gardens.  Jimena is the pert granddaughter of one of our most loyal and friendly customer, who named it in his honor. 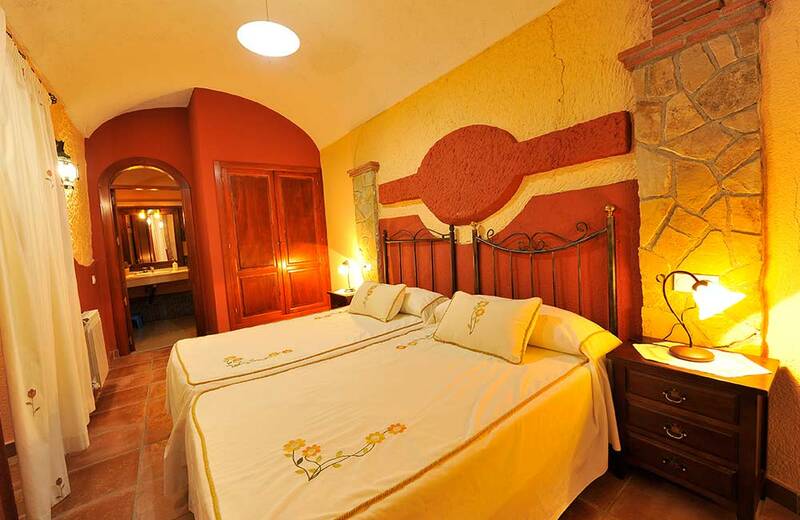 La Azucarera is cozy and comfortable, with 2 double bedrooms (4 people). 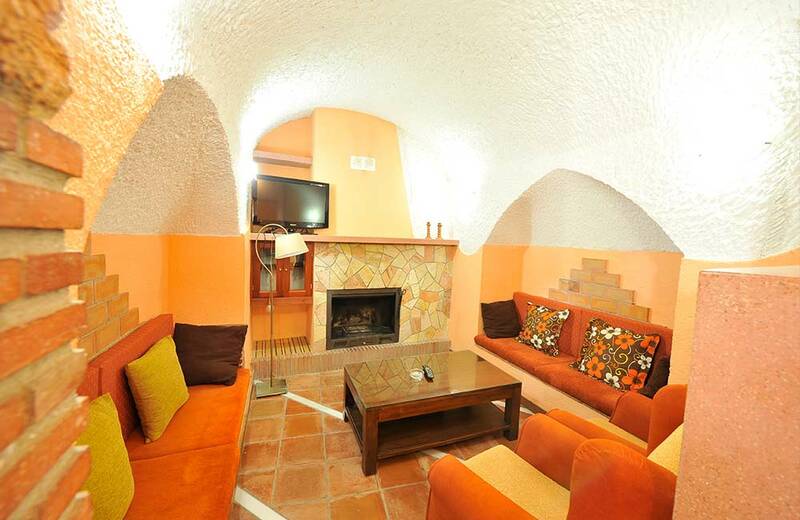 This cave is very peculiar because it has two floors, something rare in this type of housing. 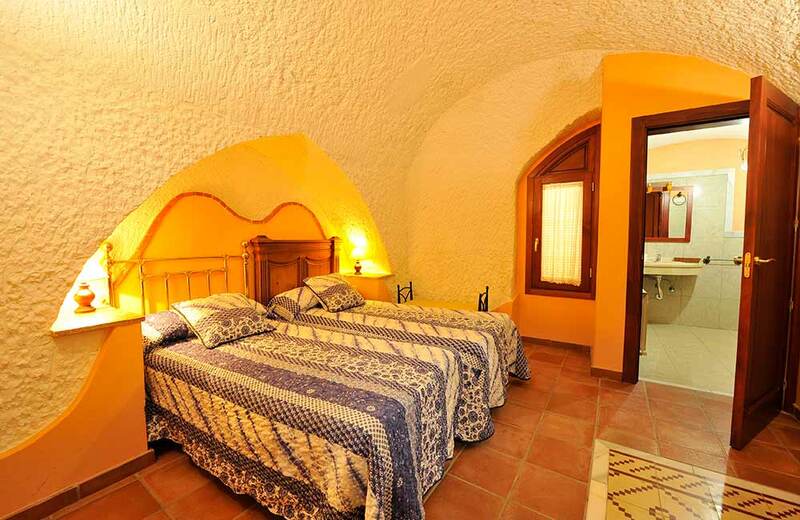 It has a contemporary design that blends with the traditional essence of the caves. 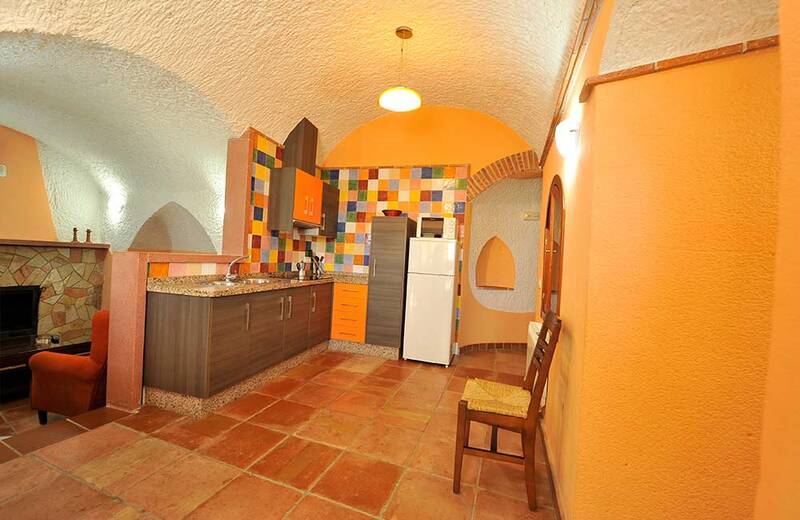 It also has two bathrooms and a fully equipped kitchen. 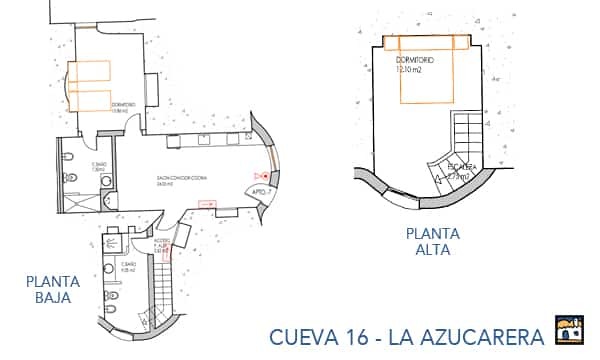 From the outside, equipped with table, chairs and barbecue, you can enjoy the best views of the Terreras. 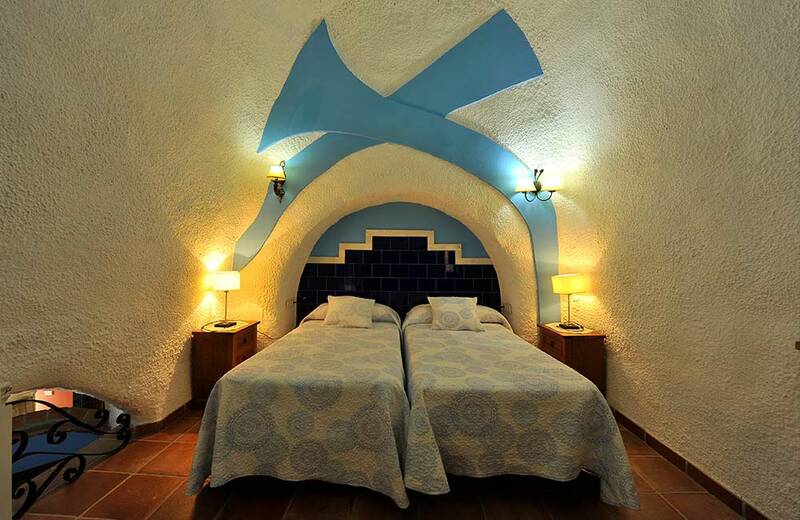 The Azucarera is and old sugar factory in Benalúa…its two high chimneys are the symbol of Benalúa, its most recognizable image. 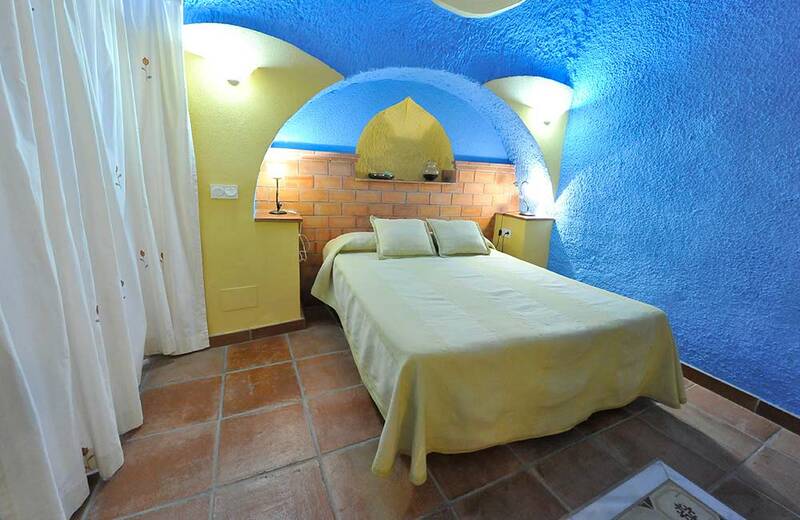 Mamabel Cave, with its colorful decoration and attention to detail, is one of the most original caves in the Complex. 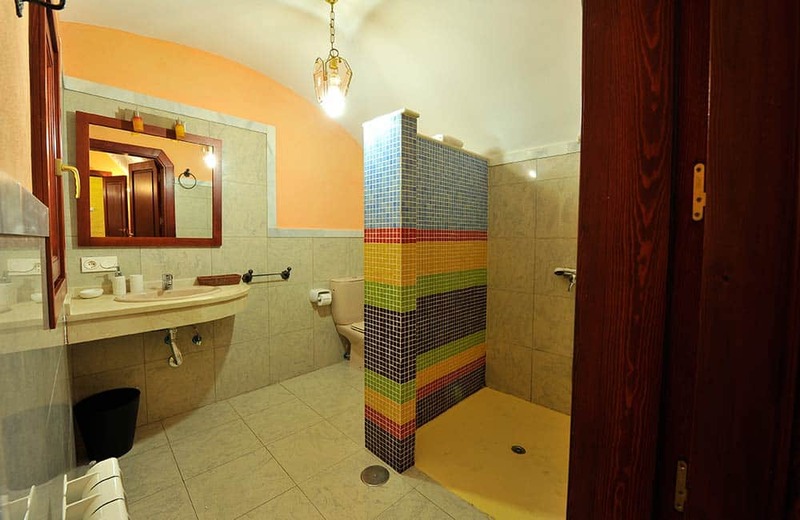 It has two bedrooms in different floor (both with two single beds) and two bathrooms, one with bath. 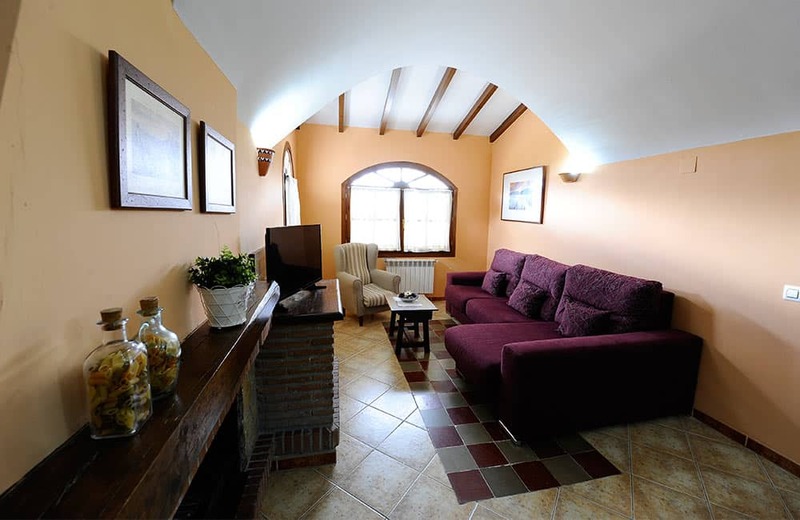 The living room is spacious and well decorated, as well as its modern and fully equipped kitchen. 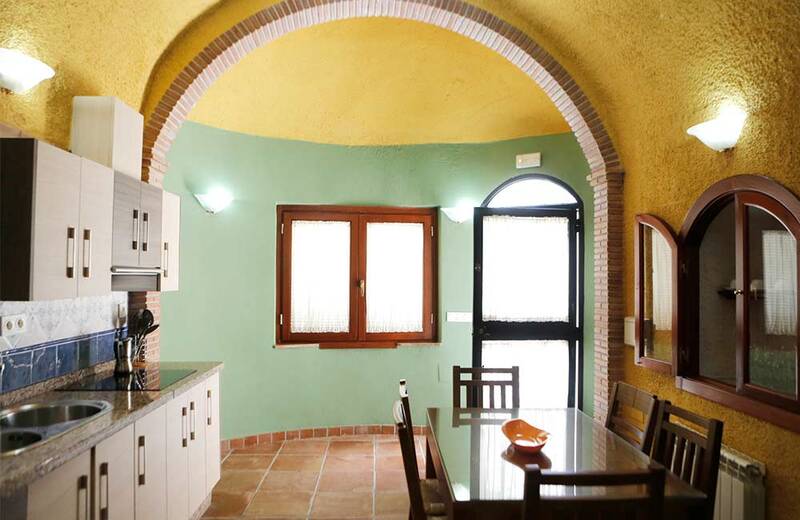 Its terrace, very private, has beautiful views of the Vega and the Terreras. 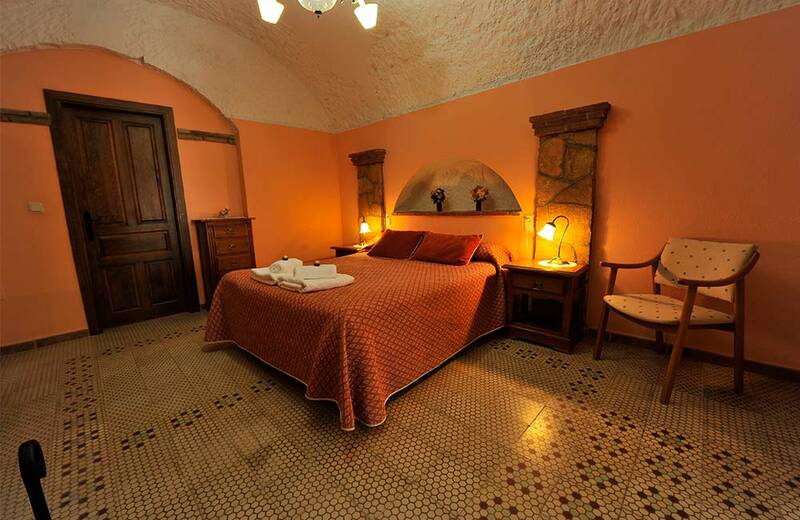 Mamabel was the matriarch of one of our most loyal families, the beloved grandmother who all they loved. 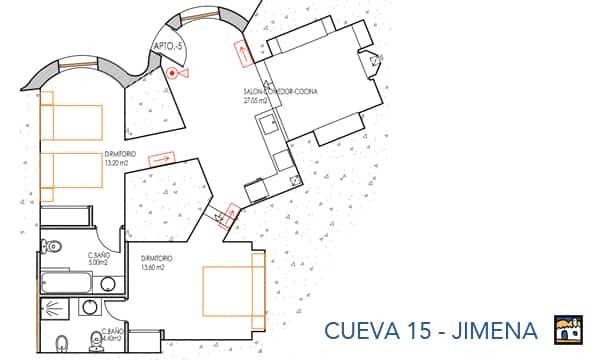 They wanted to make a tribute by naming one of our caves. 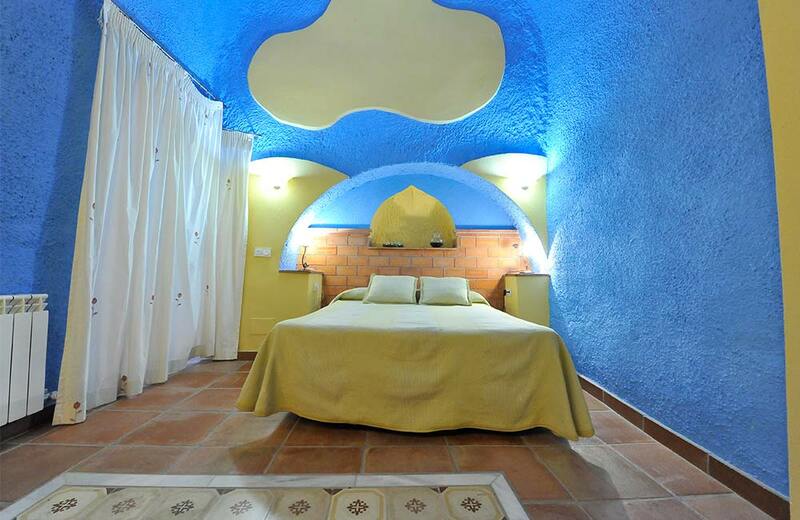 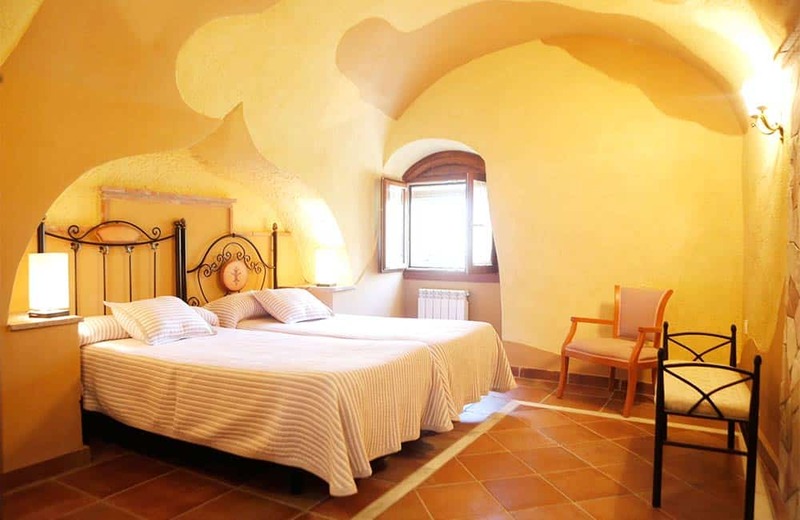 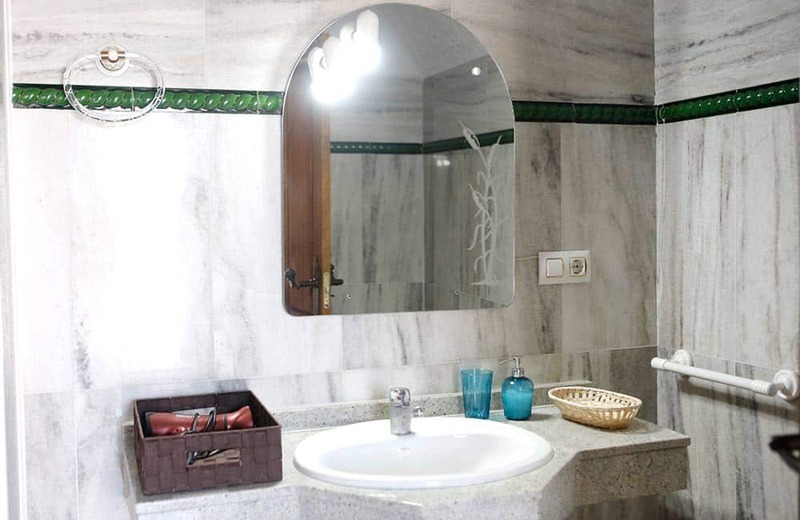 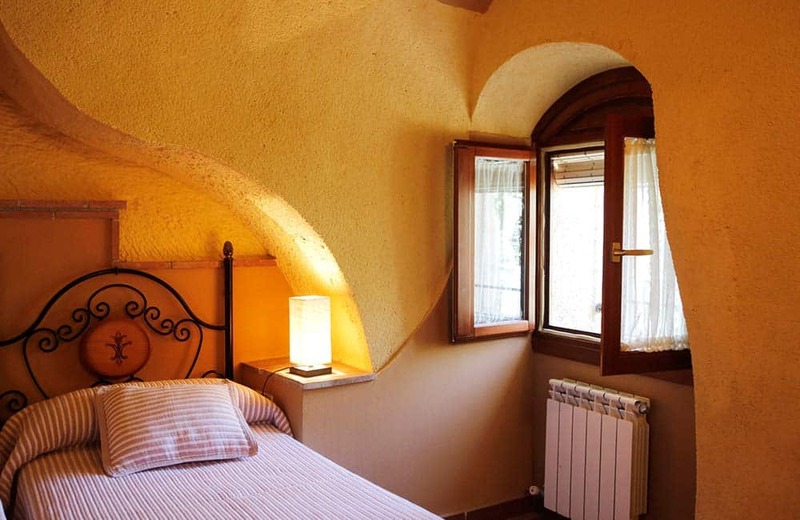 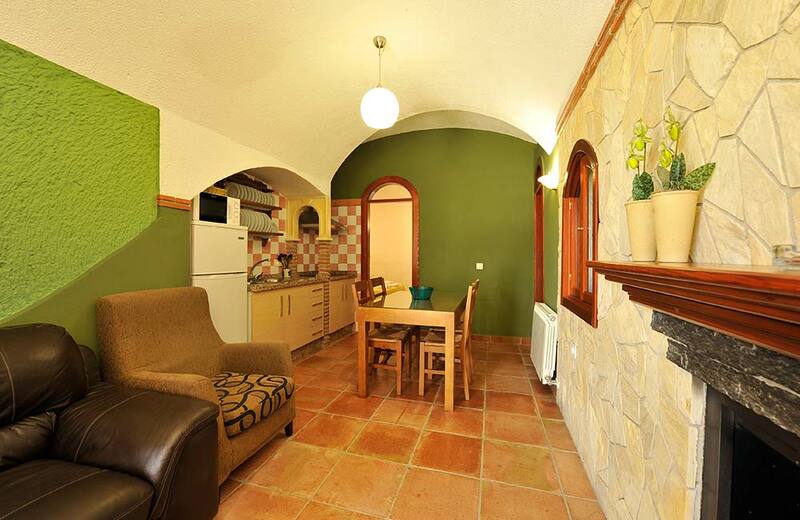 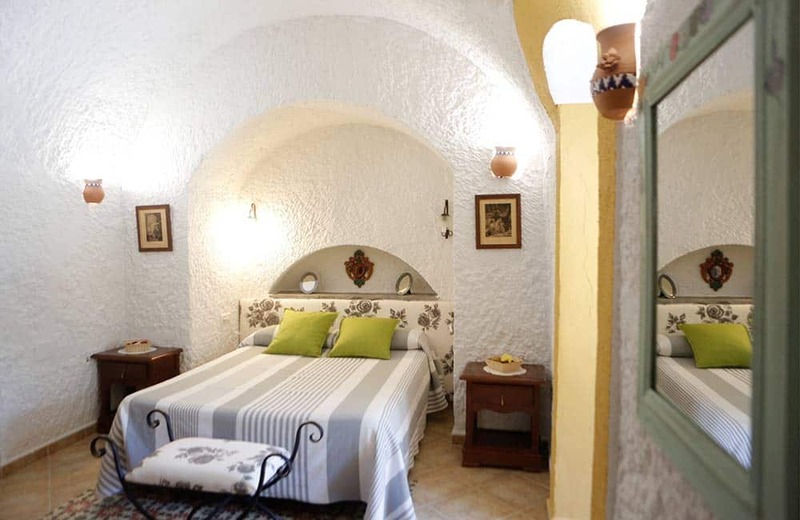 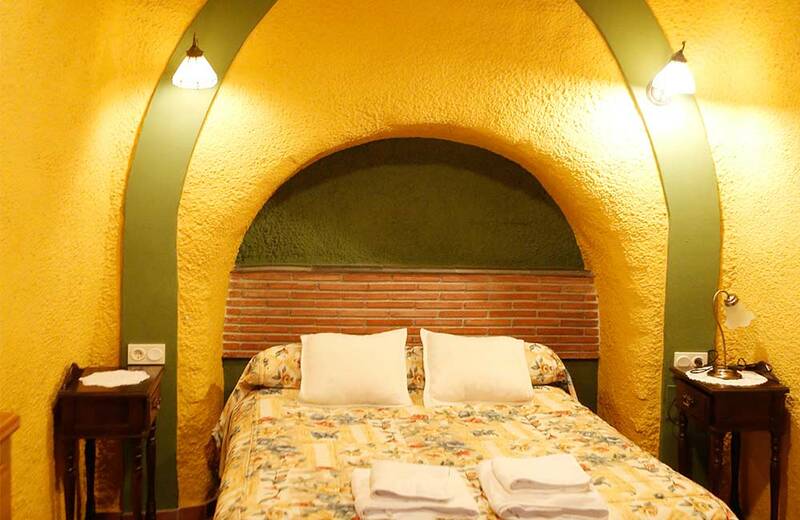 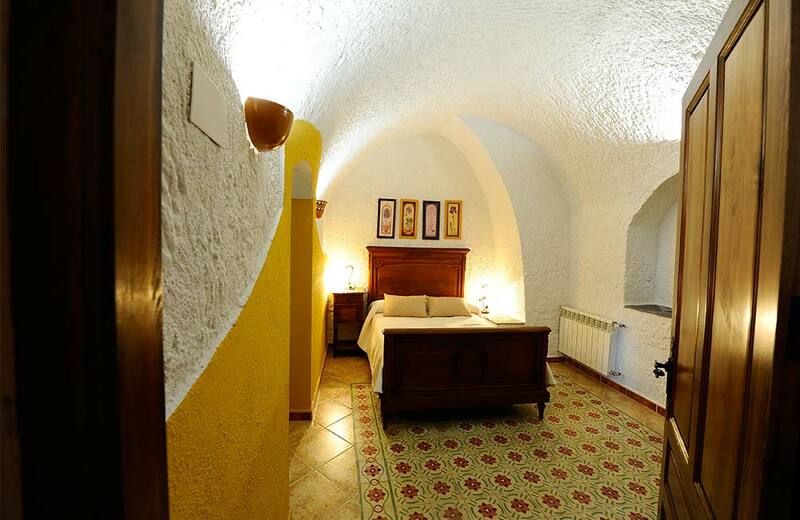 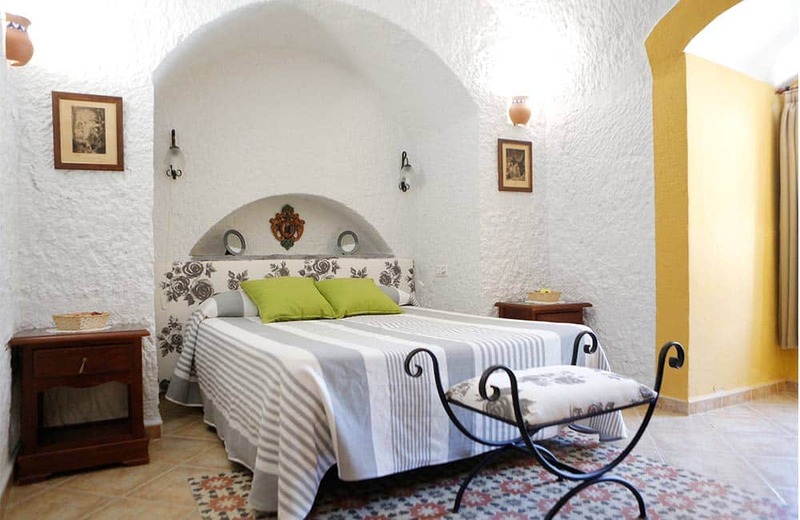 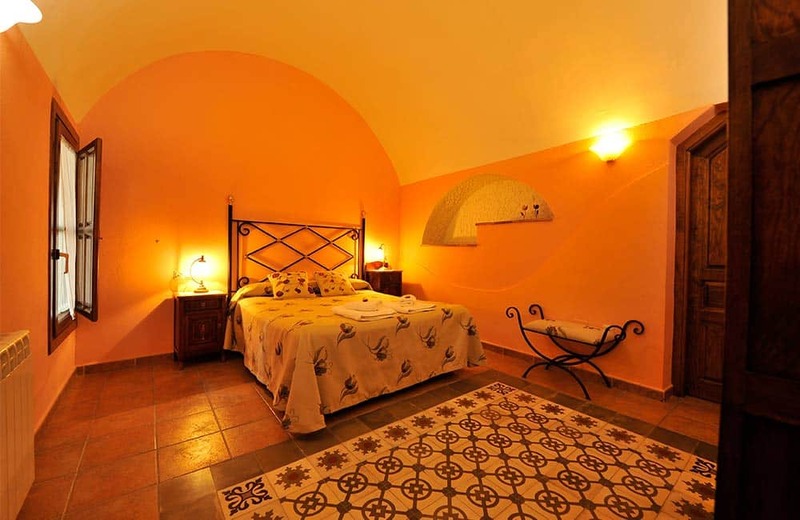 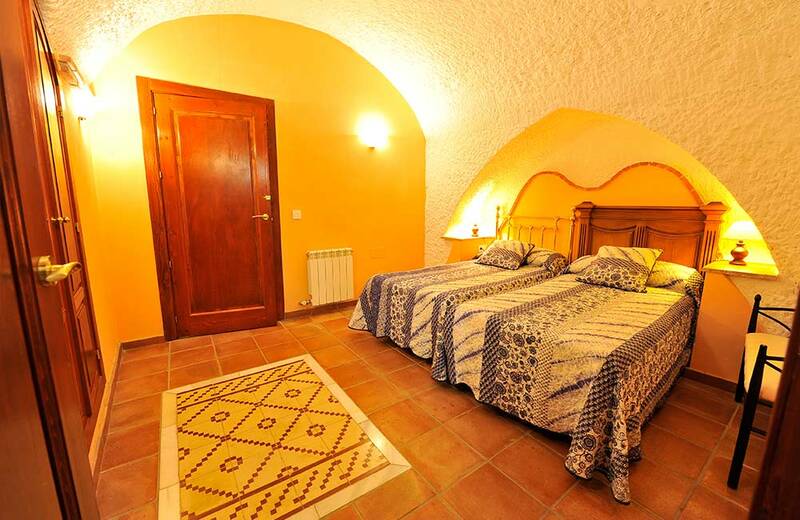 Terreras Cave has a large, cozy and clean designed living room with a nice chaise longue. 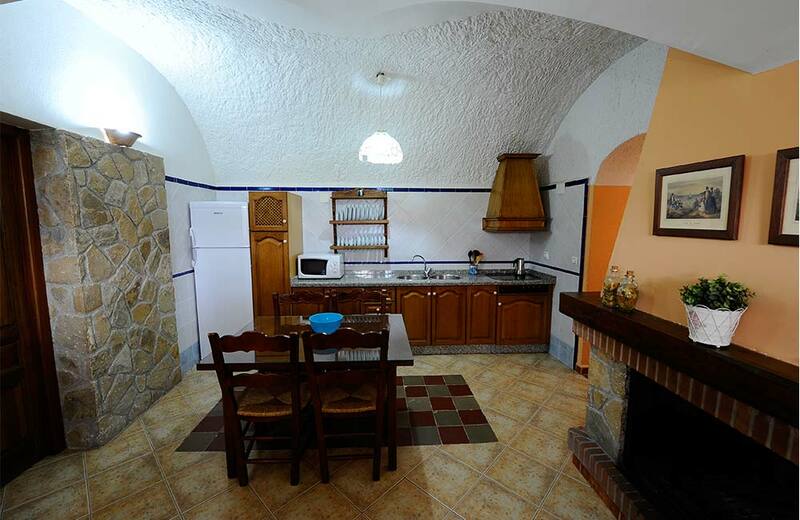 The kitchen is attached to the living room and is fully equipped (microwave, toaster, juicer, refrigerator …). 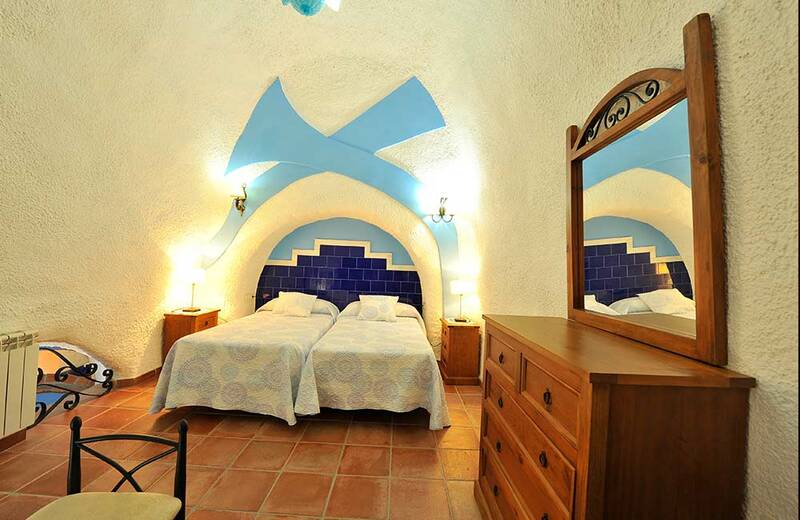 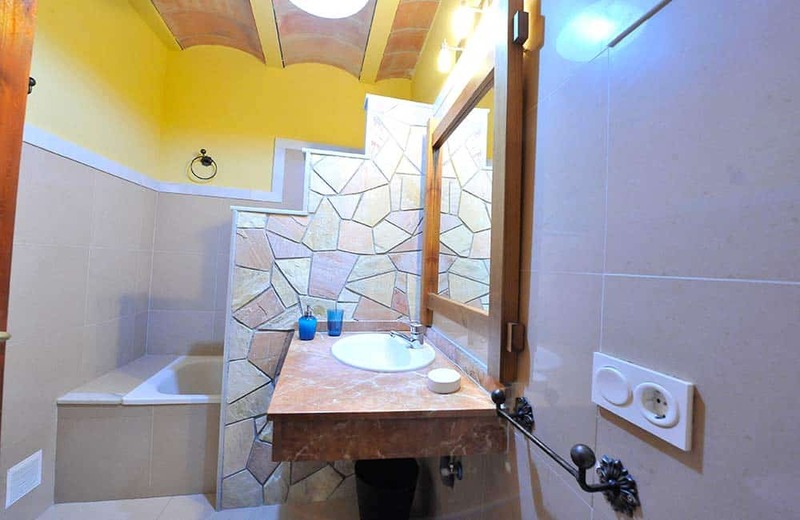 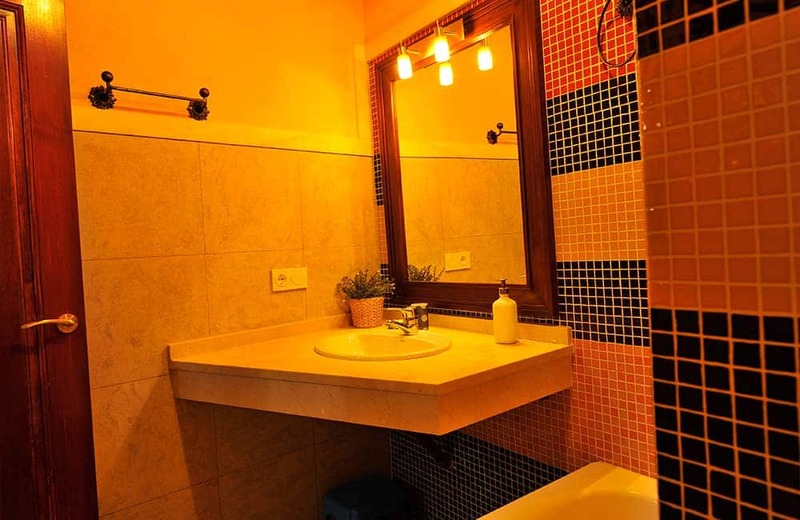 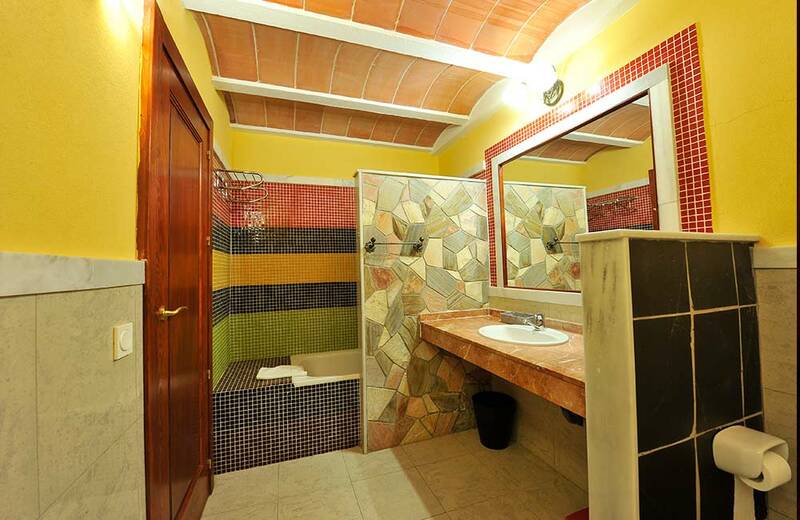 It has 2 bathrooms and 3 bedrooms: two with double bed and a bedroom with twin beds. 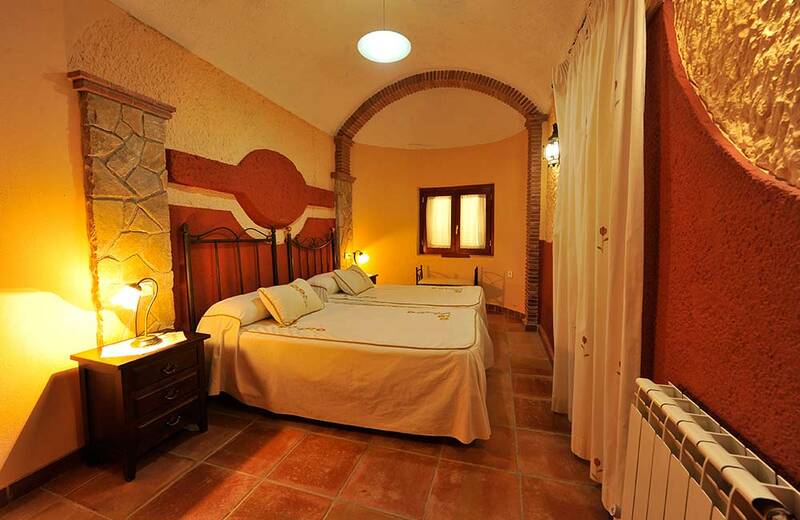 Terreras is the name given to the Badlands (typical clay formations of the region) in Benalúa.